I have an admission, the Frogette and I took a lot of cr*p from our friends, family, and colleagues when we decided to leave California. But the plain fact is, after 14 years, we were fed up with California dysfunction, jobs in San Francisco had dried up, and remaining would have probably involved moving down the peninsula for work. 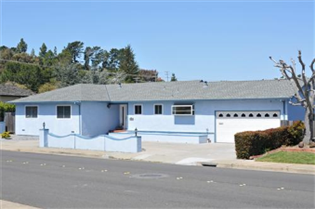 With that in mind I present to you an unrenovated, 3 bedroom sh*tbox, in a bad section of San Mateo, not near anything that matters, painted powder-blue for god sake, with a concrete front yard, and a backyard of…well…dirt. And this tired example of the American Dream goes for a modest $950K!!! Michelle Bachmann today stood up for millionaire and billionaires everywhere when she declared in her campaigning that, “Taxes are high enough already”. Watch the video and tell me that you don’t think her audience is not made up of the super wealthy. I’ve never seen a more lukewarm reception. Had I not read she was in South Carolina, I would have thought she was in her home state trying to convince the Minnesotans that taxes are, ‘too damn high’. As it is, the audience is probably all snowbirds anyway. I mean let’s face it Midwesterners love the South, and they will do anything to evade paying taxes in their home state, so maybe they really are her demographic.